The Proposed Lodge to be located at Birch Lake, circa 1949, page 69 of the pdf. This vintage report is a great reading full of great ideas. 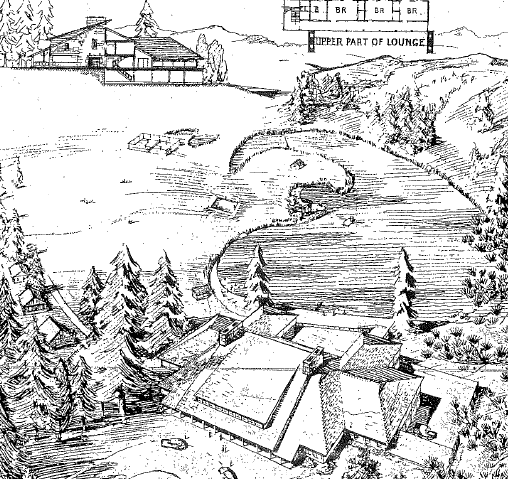 This snapshot of 1949 Camp Mather shows how much Camp Mather was valued, the high hopes for its future, and the plans the SF Rec Commission hoped to bring to fruition.